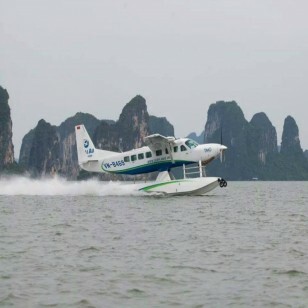 There is no doubt that the best way to see Halong bay's primitive beauty is from the air on Hai Au Aviation’s seaplane. Even better is to see it all close up as you land on water for an overnight boat stay on the Emeraude Classic Cruise. 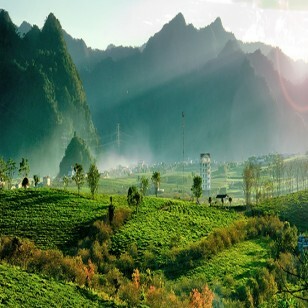 That is exactly what this 2-days-1-night travel package offers. Are you ready to try and experience it on your own feeling?.... We are always waiting for your decision. 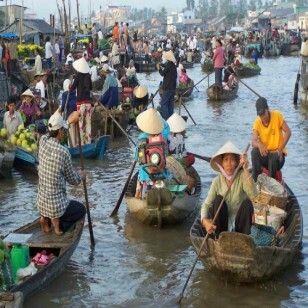 In the morning, you will be picked up in Hanoi on a comfortable shuttle bus to Halong. 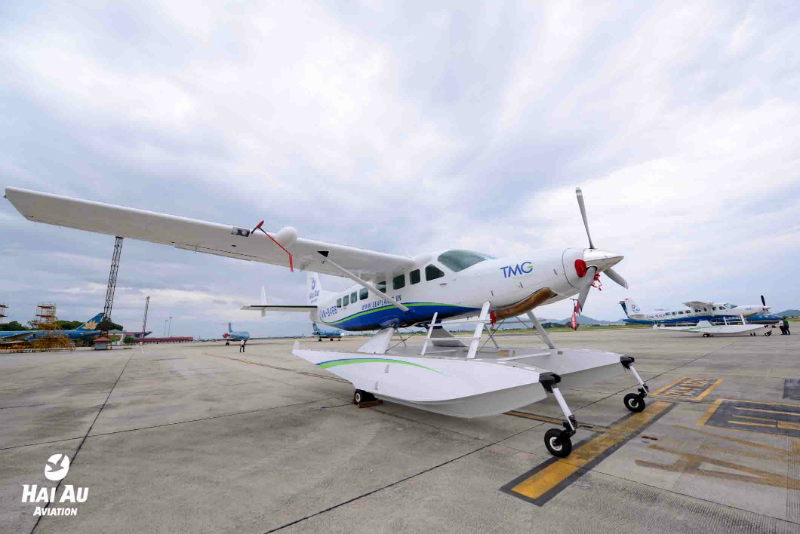 Upon arrival in Tuan Chau Marina - Halong city, you will enjoy a 25-minute sightseeing flight on a Hai Au’s seaplane. 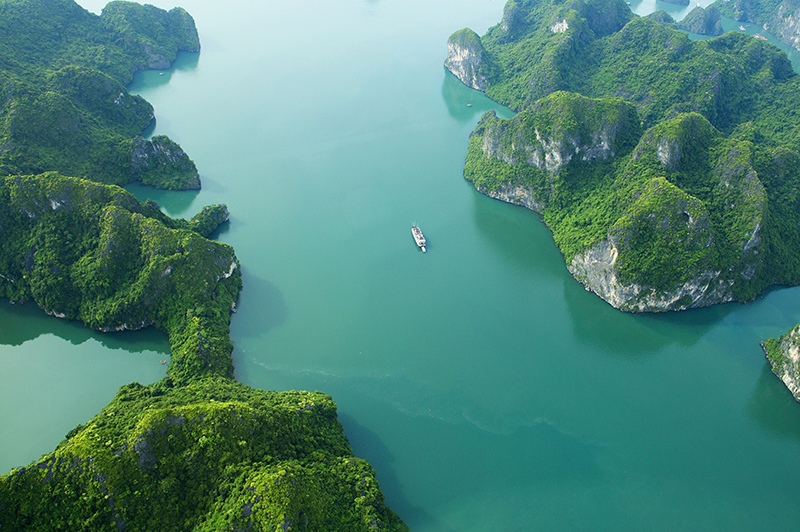 The tour takes in all the highlights of Halong Bay, with amazing views over this magnificent landscape of limestone pillars pushing up out of the green waters. 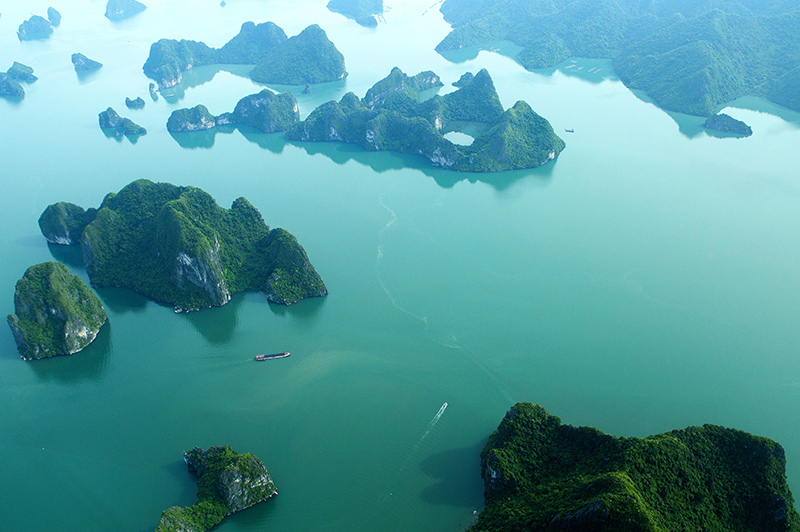 See the islands of Cong Do, Ba Ham with their pretty lagoons and fly out to Dau Be on the edge of the Gulf of Tonkin. 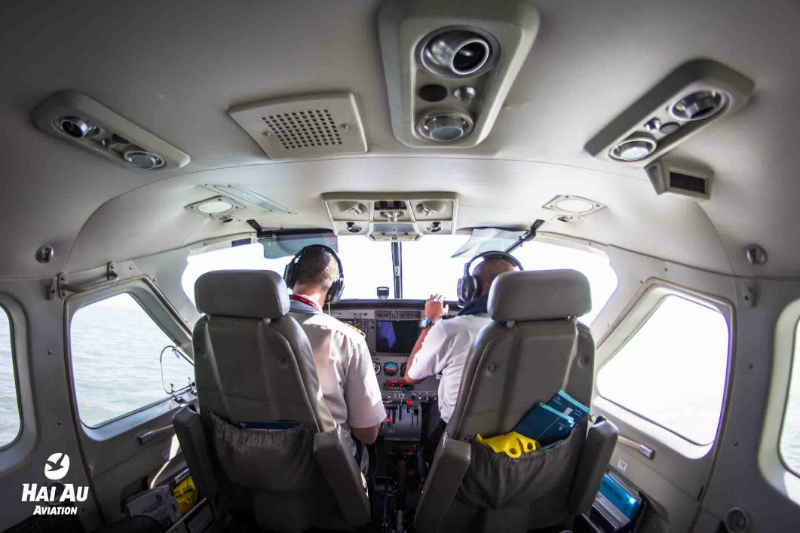 After a thrilling water-landing, you will be greeted at the Emeraude check-in lounge with welcome drinks. Upon embarkation on the Emeraude Classic Cruise, you will enjoy an authentic Vietnamese buffet lunch at the cruise’s restaurant. Choose how you would like to spend your afternoon as the boat cruises through the bay. You can join in one of the many activities like a guided shore excursion to Sung Sot cave, kayaking, swimming or visiting the pearl farm. Or you might like to stay onboard and enjoy the crepe station and the Vietnamese fresh spring roll cooking class on the sundeck. In the evening, a European-style buffet will be served. After dinner, the movie “Indochine” is shown on silver screen. Alternatively, you might like to try your hand at squid fishing or just relax with a few drinks by the bar. Wake up early to the most magical time in the bay as the sun rises. Learn the soft and graceful movements of Tai chi o­n the deck. Enjoy leisurely an energizing full breakfast. 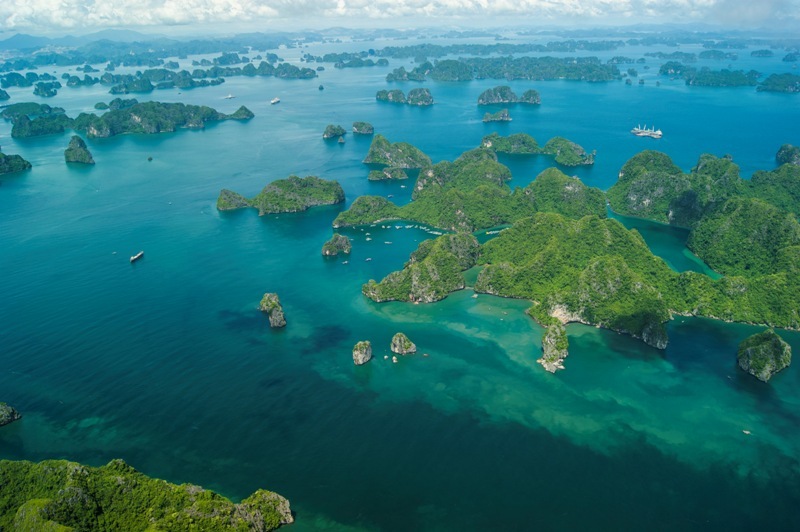 Continue cruising and discovering multi-shaped islands and islet - a true step back in time. Return to Port at Tuan Chau Marina, say goodbye to Halong and board a shuttle bus transfer back to Hanoi. Ending the trip around 16h30! * POINTS OF DEPARTURE: Tuan Chau Marina: No T7 Tuan Chau Commercial Urban Area, Tuan Chau Ward, Ha Long City, Quang Ninh Province, Viet Nam. + Superior cabin on cruise (sharing bed). For upgrade please contact us. 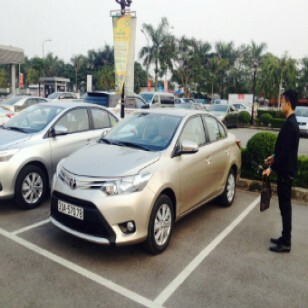 + Shuttle bus transfer Hanoi – Halong bay – Hanoi. 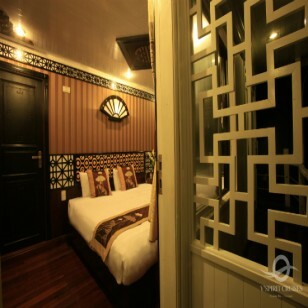 + Promo Price is based on 2 pax sharing 1 cabin. Surcharge will incur for single occupancy. + Confirmation is dependent upon seat availability. + Surcharge may incur if travel dates are during public holidays or peak periods. 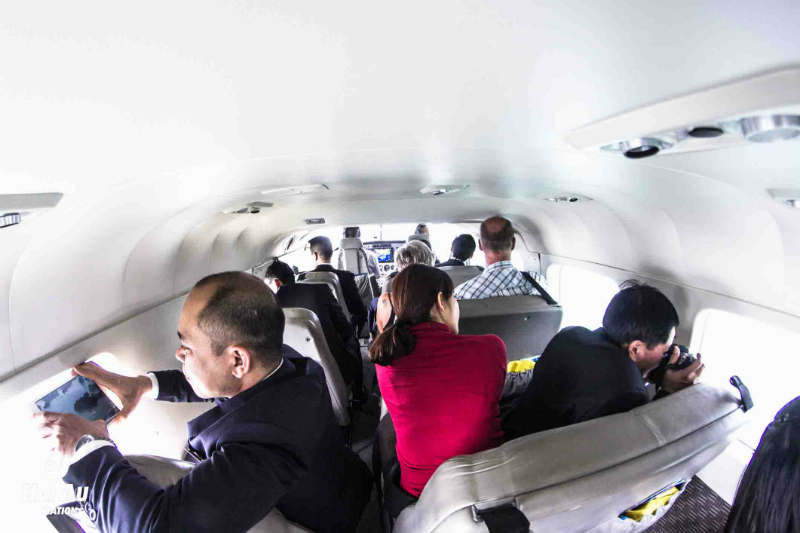 + Change of date is dependent upon seat availability and may incur surcharge. + Non-cancellable and non-refundable after payment is made. + Itinerary is subject to change or cancellation due to weather conditions.